Cleansing is one of the most powerful things we can do to bring our bodies (and our minds) back into alignment. After all, balance is one of the most important things in our lives, right? Even though I eat a plant-based diet of whole foods, I am still exposed to environmental toxins, occasional stress, and if I can’t get my greens organic, I’m sure there have been pesticides in my salads too. I also have a pretty major sweet tooth, so I felt my body could do with a little clean up. This is a good time of year to do a juice fast because fruits and veggies are coming into season, weather is warming up so our bodies can take more raw foods and as the seasons make their transition outside, it feels so right to make one inside. First you might ask, why would anyone want to do a juice cleanse for goodness sake? The answer is – to jump start your health journey! This is especially good if you are not well or you have low energy. Drinking fresh juice will give your body incredible easily absorbed nutrition that its craving. This is quite a gentle cleanse compared to many others. I chose to include smoothies in addition to fresh juices in mine because this is what felt right for me. I didn’t experience many hunger pangs and instead I felt this wonderful overall feeling of comfort knowing that I was feeding my body the best thing on this planet. Its very empowering to say the least. There are so many reasons why juicing is beneficial. Fresh juice gives you energy and vitality that you will notice right away since it is so easily assimilated by your body and bloodstream, you can feel the boost within 10-15 minutes. Without the added burden of digestion, which takes quite a lot of time and energy, the body is now free to work on other things like detoxing the liver and kidneys. The liver is involved with detoxifying harmful substances (like environmental toxins, chemicals, food additives, preservatives, drugs, etc) before they can enter the bloodstream and harm the body. 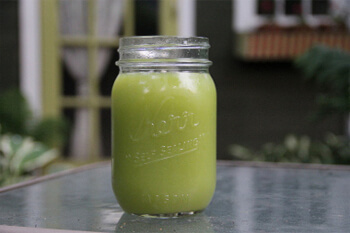 Periodic cleansing of the liver through juicing can be important in maintaining good health. I like to include plenty of vegetables in my juices. All vegetables are alkalizing. The benefits of maintaining alkalinity in the body are crucial. Here are just a few benefits of maintaining an alkaline environment in our tissues: improved focus and mental clarity, stronger immune system, better digestion, healthier hair, skin and nails, and more energy! 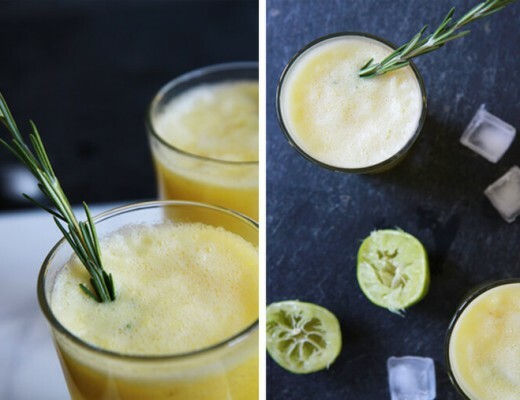 Tasty fresh juice recipes need not be complicated. I have found with experimenting that the simple flavors of fresh veggies can be highlighted or buried. I rather enjoy tasting the individual veggies I put in and combining them in various ways. I certainly encourage you to do your own experimenting as it’s fun and exciting to find interesting combinations that become favorites. 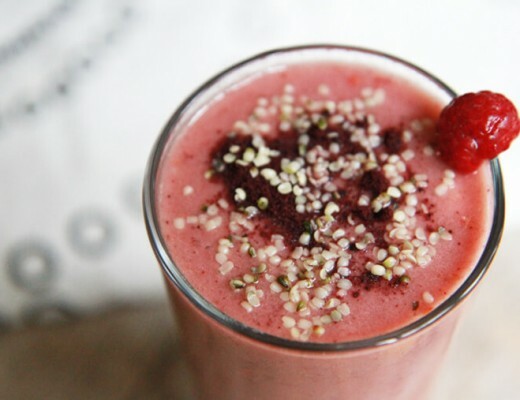 The recipes below are a few of the ones that I enjoy using for this juice cleanse or just as a snack when I am craving some serious nourishment. I usually go for 6-7 juices in total everyday when I’m cleansing, so I pick and choose from the following “menu” depending on the time of day. Place in juicer and drink immediately. few stems of bok choy. Place everything in blender and blend until smooth. Day 1: I was pretty excited to get started. I started off my day with a warm cup of water with a slice of lemon. I consumed six juices and one smoothie throughout the day. I must admit, I was really full from all the liquid so I wasn’t feeling hungry. I was feeling a little worn down so I went to bed early. Day 2: Woke up first thing in the morning to grab a warm cup of water and lemon. When I was writing in the afternoon I felt very clear-headed and seemed to get more done than usual. Juice is definitely a productivity booster! I felt restored and rejuvenated. As the day wore on I was feeling a bit achy as if some detox symptoms were kicking in – stuffy nose and a slight headache. Day 3: I woke up feeling great! Any sort of ill feeling I had the night prior had disappeared. The thought of chewing some real food was sneaking into my mind today so I ended up consuming two smoothies throughout the day in addition to juice and plenty of water. I’ve noticed I feel lighter and my skin is looking more hydrated and clear. After the cleanse: The cleanse has given me a deeper connection with my mind/body. It has helped me realize and identify my emotional ties to food. I’m never physically hungry, I just feel like eating because I am bored, cold, procrastinating, stressed, etc. I’ve learned to be in the moment when I’m eating and appreciate it. I was delighted that I no longer had any sugar cravings. I was real excited to eat food again. I broke my fast by consuming a huge salad of greens, sprouts and assorted veggies. Be prepared. It’s always good to be a little prepared for any sort of program, but as you’ll be living on nothing but the finest juices and smoothies for 3 days, good preparation is of paramount importance. Purchase organic produce if your budget permits. Get mentally prepared. Making sure you have all the fruit and veg you’ll need for the program in advance is important, but even more so is the right frame of mind before you start. Sleep. Rest is as important as clean air, exercise, good nutrition and an attitude of gratitude, so allow yourself to do it over the next few days. Pamper yourself. If you are going to do a detox then really go for it. Maybe schedule a massage, attend a few yoga classes, relax in a hot tub… heaven! Detox. If your body is pretty toxic, you may experience detox symptoms in the form of headaches, lethargy, and nausea. You can give the process a little nudge by eliminating toxins with things like dry skin brushing. Ease out of cleanse. When you come out of a gentle cleanse such as this one, I recommend easing out of it slowly. Gradually start adding foods back in to the diet. Take care. Continue eating a balanced, whole foods diet, exercise regularly and get plenty of sleep. As we treat our bodies with the physical and emotional respect they deserve, our need to detoxify becomes less and less and the better we will feel everyday. 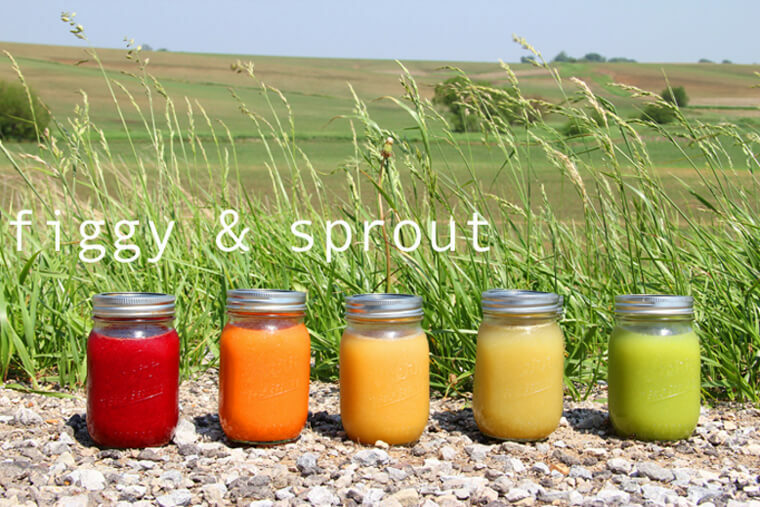 Interested in getting started with juicing? 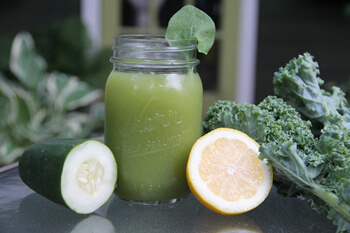 Here you can find a post I did recently called Quick Guide to Juicing. PLEASE NOTE: Juice cleansing is a pretty major undertaking and you should consult with a qualified health practitioner prior to commencing any sort of fast. Do not use this post as your sole reference. The content on this site is for information purposes only and not written with intentions to substitute professional medical advice, diagnosis or treatments. This is awesome! Glad the cleanse worked out swell for you. I’m in the process of purchasing a juicer so I can do a cleanse, and simply drink fresh juices whenever I want. Thanks for stopping by Bridget! I’m glad you enjoyed the post. Having a juicer in your life will totally change your world. Fresh juice just can’t be beat. To answer your question about greens getting juiced, I haven’t had any problems with mine, but every juicer is going to be different. One thing I like to do with leafy greens is to blend them – that way the fiber remains intact and there isn’t anything going to waste. I oftentimes do this with spinach and romaine lettuce in a smoothie. I still think Breville is the best brand you can get for the price. Best of luck on your search! You’ll have to let me know what you think of juicing when you start :) Take care. I am going to start juicing again… either tomorrow or Monday and am really excited. This guide is very, very helpful. And to Bridget- I have a Breville- works ok… I notice the pulp is still too juicy for my liking and some fruits/veggies don’t get properly pulverized. 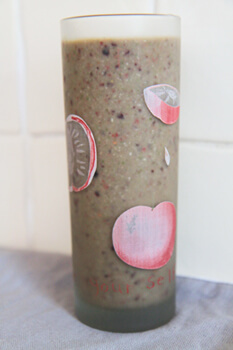 I don’t have a juicer – but I do have a Vitamix and make green smoothies daily. For a cleanse such as this, would using the Vitamix and smoothie method work as well? Thanks! Hi Renae! Great question – you can definitely use a blender if you wish. I’m so jealous you have a Vitamix. Aren’t they amazing? I’ve included a video here that shows how to make juice without a juicer. You’ll need to use a strainer of some sort after blending. A nut milk bag works great for this. Hope you find this helpful! Thanks so much! That is super helpful! And yes, I love my Vitamix….I was just telling my husband the other day (who was a big doubter when I purchased it!) that I have for sure gotten my money’s worth since I use it at least once a day! What do you define as a “bunch of kale” or a “few large handfuls”? Could you equate it to a measurement? Thanks! I am interested in doing a juice cleanse and have been looking up information and recipes. Thanks for posting all of this great info! About how much did you spend per day on fruits/veggies?? Hi Mikey! Thanks for stopping by. Glad to hear your juicing adventure is going well and you enjoyed your first taste. That is a great question! I suppose it kind of depends on the type of juicer you own. If you have a centrifugal juicer (one with a spinning blade) I wouldn’t recommend juicing the pulp again, if you have a masticating juicer (slowly rotating auger) you may want to juice it again if it feels wet to the touch. If you don’t want anything to go to waste you can use the leftover pulp to make veggie burgers, veggie broth or baked goods such as breads and muffins. The possibilities are endless. I hope this helps. Please let me know of any other questions you may have. I just received my juicer today! :) I usually work 12 hour shifts 4-5 days a week. Can you make enough juice to juice throughout the day or juice in the morning before work and juice whenever I get home.? I can’t wait to try your recipes and get started with my journey! I’m new to juicing and eating healthy. Thanks for stopping by, Raunda! And congratulations on your first juicer :) I know you’re going to love using it and reaping all the benefits from juicing. To answer your question, you can do whatever suits you best. If you’d like to prepare enough juice in the morning to last throughout the day , you may find that to be easiest (especially since you’re working such long hours.) 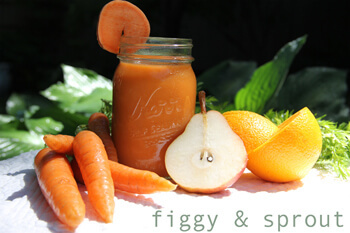 I like to fill my juices in a glass mason jar – that way they stay nicely in the fridge or on the go. Keep in mind that juice will lose some of it’s enzymes the longer it is exposed to air. Faster it is consumed after juicing, the more nutrients it will have. I hope you found this helpful. Please let me know of any other questions you may have and best of luck on your healthy journey! hey! im about to start a three day juice cleanse and im curious about the best ways to mix and match the juices. like start with a fruity juices because it is more sugar and then have veggie juices throughout the day? things like that. please email me! Hi Pooja! I just sent you an email there. Please let me know if you have any other questions :) Hope you are having a wonderful day. My wife and I started the 3 day cleanse today. Excited and nervous at the same time. Our goal is not weight loss but overall improved health. I’m getting ready for my first juice cleanse, to reboot my system, and I LOVE the information you have here. Thank you! All I need is more. I’d love more recipes that include details about what the different ingredients are best for, i.e. ginger for digestion, kale for antioxidants, etc. so we can plan a balanced menu to deal with our different issues. Be sure to let me know any specific questions you have pertaining to juicing/cleansing. I’d be happy to help you. Best of luck and happy holidays! Just had my first juice today, it was a take on your green ginger ale cucumber, kale, ginger, lime and instead of apples I used honeydew. Oh my gosh my husband loved it! I did too. 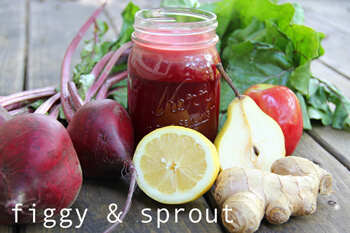 Your site is awesome thanks for sharing your juicing secrets and recipes. We are doing our first juice cleanse in a week or two. So excited!! I was wondering since my husband and I are both very active (he’s a cyclist and I’m a runner) could we have a nut milk juice to recover from rides and runs? Or would you just suggest not training for the cleanse? Hi Stephanie, thanks for stopping by! I’m thrilled you enjoyed the juice – honeydew sounds like a fantastic substitution. I must try that myself! That is a great question! Since I am an athlete as well, I can totally relate to this dilemma. 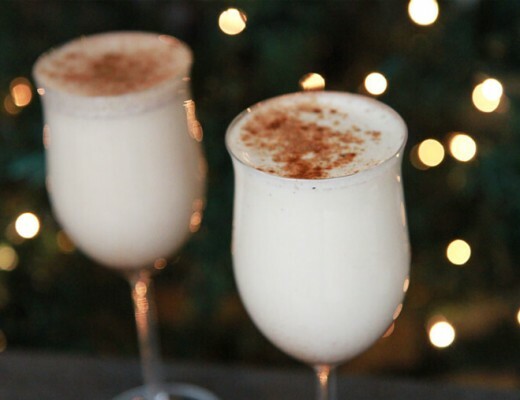 You can absolutely add fresh nut milks to your cleanse menu. I oftentimes may have a smoothie if I’m feeling hunger or weak after working out as well. Though I do recommend light exercising during a cleanse, you may find yourself not feeling as energetic as normal. Take things easy and listen to your body. I hope this helps Stephanie! Best of luck to you and your husband on your upcoming cleanse! Be sure to let me know if you have any further questions. Happy new year! Thank you so much for sharing! My husband and I are juicing and cleansing starting today. I was excited to see the nut milk recipe (and the cookies that were next to it too ;) Searching for that recipe now! Thanks again for all your recipes. They look delicious. Hi Kim, thank you for stopping by! I’m thrilled you are finding inspiration from the site. Best of luck to you and your husband on the juice cleanse! Be sure to let me know if you have any inquiries. Happy new year! hi – great info – question: the fruits and some vegs – have a lot of sugar – natural sugar of course – but doesn’t that get converted into fat? Hi Suzy, great question! Most fruits are essentially fat-free (with rare exception, like avocados) and fairly low-calorie, high-fiber food. It’s going to be hard to eat enough fruit to result in an excess of calories, resulting in noticeable fat gain. Real fruit actually contains a lot of water, nutrients, fiber, etc…healthy stuff your body needs. If you’re worried about your sugar consumption, the best suggestion I have is to drink freshly pressed vegetable juices. Drinking just one freshly pressed juice each day is a reliable way of infusing your body with a wide variety of vitamins, minerals, and phytonutrients that can protect your cells against premature aging and disease. I am going to give your 3 day cleanse a try next week…I’ve never done anything like this so it is a big step. What are your portion sizes? Best of luck on your cleanse, Louise! Happy juicing! Thanks for the tips and recipes. Do you drink all the recipes everyday or is there a certain order to follow for best results? Please email me your answer….and thanks again for all the info. I live in NZ and due to poor health and a not so good liver at the age of 30, I have been working on changing our household food, cleaning products etc to organic and keen to do a juicing detox probably once a month… and I am sooooo grateful that I have come across this website, so easy to follow! Thank you for sharing your knowledge and passion with the world! Aw, thank you so much Ava! Welcome :) I’m glad you’re able to find some inspiration from the blog. Best of luck to you on your journey to better health. If you have inquiries I’m always here to help. I look forward to connecting with you. Take care. Hey thanks so much for the great recipes. Is it okay to do the juice cleanse for 7 days? Hi Catrin! You’re so welcome – be sure to check back at the blog often as I have a lot of new juice recipes planned for Spring :) To answer your question, yes. You can absolutely do the cleanse for 7 days. Sometimes it isn’t necessary to cleanse for that long of a period, but if you feel up to it – go for it! I do recommend taking things easy while cleansing and listening to the needs of your body. Best of luck! My husband and I are overweight and have consumed so many bad foods. I recently stopped smoking (138 days smoke free). I’m looking for some help to improve my life. Would you please email me or leave your email address? Hi Chrissie, thank you so much for getting in touch! Juice cleanses are a great way for a fresh start, but have you considered maybe doing a clean food detox? I feel this may be the better option for you. I have a three day detox plan that you may be interested in trying out. You’ll have to let me know your thoughts about that option. I am an emotional eater. I’ve been having pain in my stomach for a while. After I eat I feel nausea and I have these weird pain in my stomach near my naval. I feel like throwing up sometimes. I don’t think I eat bad but I think I eat too much in one meal so that’s something I’ve stopped. I have the ninja the jack la lane power juicer and a nutribullet. I like the nutribullet the best. I don’t eat red meat but I know something isn’t working right in my stomach. If feels like the food is coming up. I am going to see a doctor soon. I will do the three day detox. I think it’s realistic and it’s only for three days so I can’t wait to get started. I will let you know how it goes. If you have any tips on things that I can do to help my digestive system. I would appreciate that. Thanks you for sharing and again I will let you know how it goes. Hi! I don’t have a juicer, but I have a vitamix. Would it be possible to make all of these juices into smoothies? I usually don’t add any extras like yogurt or milk to my smoothies. I have a vitamix and have been making smoothies but is juicing better as an alternative to blending all the fruit and/or veges? Hi Katie, Just came across your website, its great! I’m doing a 30 day cleanse tomorrow so this post was very helpful, thanks! Glad I found this on Pinterest, I’ve been wanting to try a juice cleanse for awhile! Looks like some great recipes, excited to try them. Thank you for posting this! Can you make the juice ahead of time, say make your morning snack and lunch and refrigerate? It’s difficult to do this at work!